UPDATE: Apparently iOS 7 will allow you to view Unread messages only. As of 8/29/13 it has not yet been released, so I cannot confirm that. UPDATE 2:Indeed iOS 7 allows this. In the Mail app go to “Mailboxes” (upper left corner) and, if you don’t already see “Unread,” select “Edit” in the upper right corner. You will now be able to see “Unread” as an option but also “To or CC” allowing you to only see emails on which you were the direct recipient or CC, “Attachments,” all emails with attachments, etc. You can also order them by “grabbing” the right side of the folder name. While Apple added “VIP” to email in iOS 6, a feature that let’s you assign certain people in your contacts to be VIPs and thus be automatically flagged, I still miss being able to quickly view only my Unread email. I often will have a number of unread messages, but with my most recent day or two of email being read. The result is having to scroll down and down and down to find the unread messages. Well I have a found a workaround! 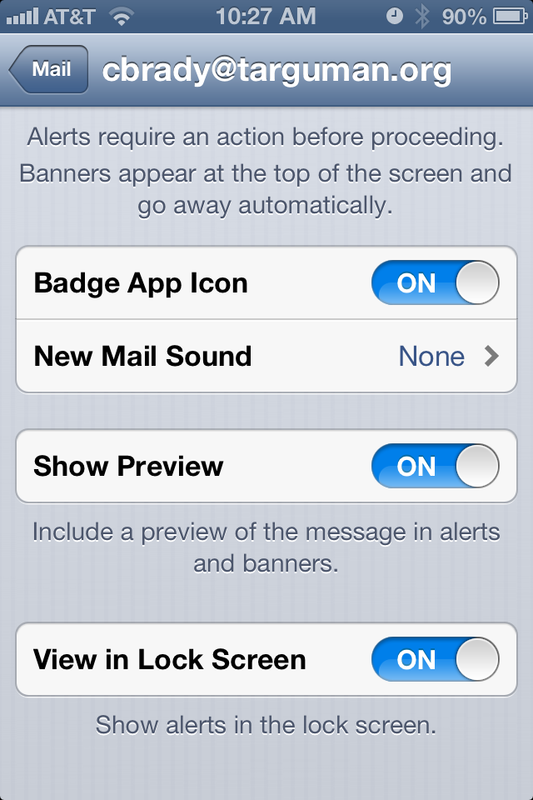 In the iOS preferences, go into Notifications and then select Mail. In that section, right at the top, you will see an option to Show X number of unread messages. On the iPad you can set that as high as 20 and in the iPhone the limit is 10. 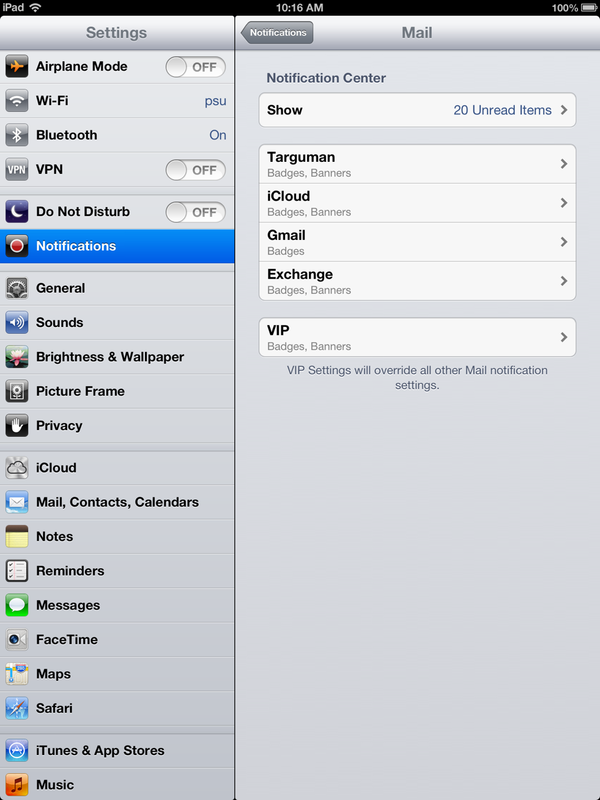 It is worth spending time in the Notification preferences because there are a number of other key features you might have missed, viz., the ability to set only certain email accounts to trigger notices or appear in the alerts or on the lock screen. This is handy, for example, if you want only your work email to show up on your lock screen. Finally, if you go into General:Mail settings you can set up to 5 lines of the email in preview. The result is a quick swipe from the center top of your iOS device’s screen will bring down your 20 (10) most recent unread messages with up to 5 lines of the email visible. Tap on the email and go directly to it without have to scroll endlessly in Mail. 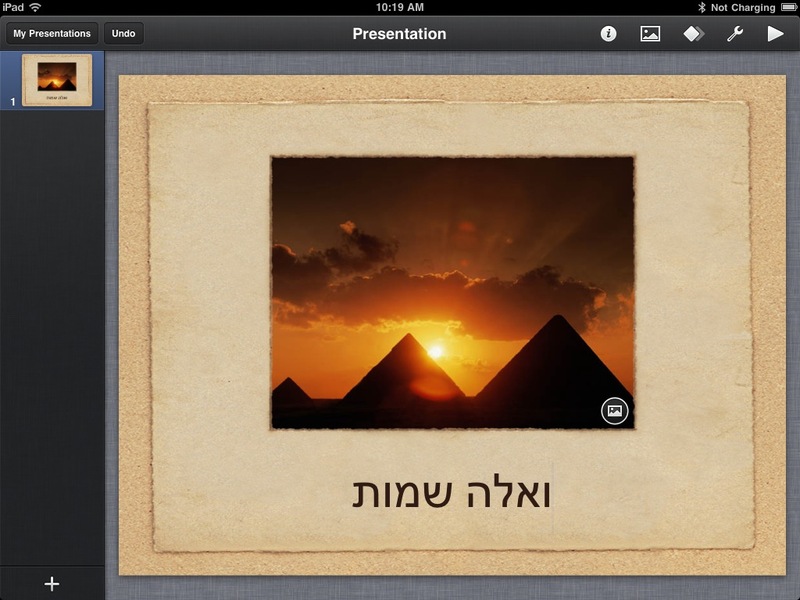 Hebrew on the iPad, at last! 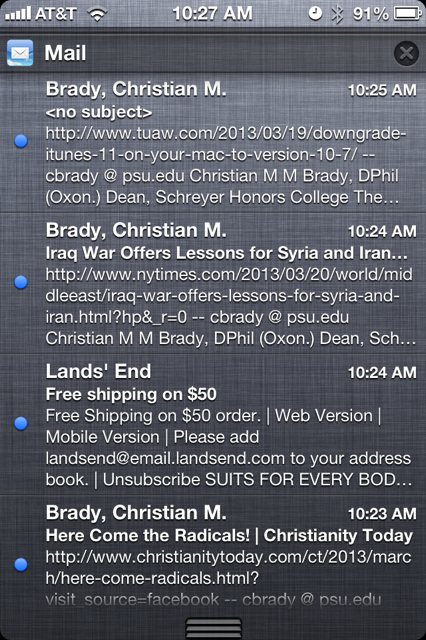 In ios 7 beta 3 type “unread” in the search box of the Mail app and will find the unread messages. 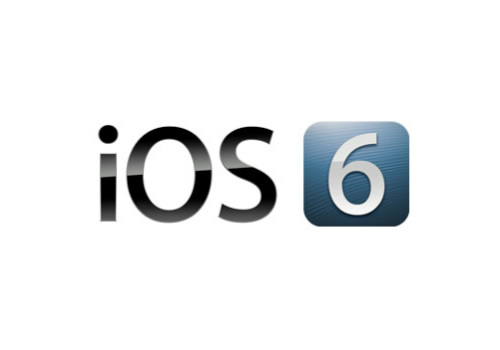 I do not have access to the iOS 7 beta, but that would be a nice, logical addition. When iOS 7 was announced I said on Real Tech for Real People that I thought Apple would come under fire the font and its legibility. Apparently I was right and they have sent out a new beta with the regular, not light, version of Helvetica Neue.